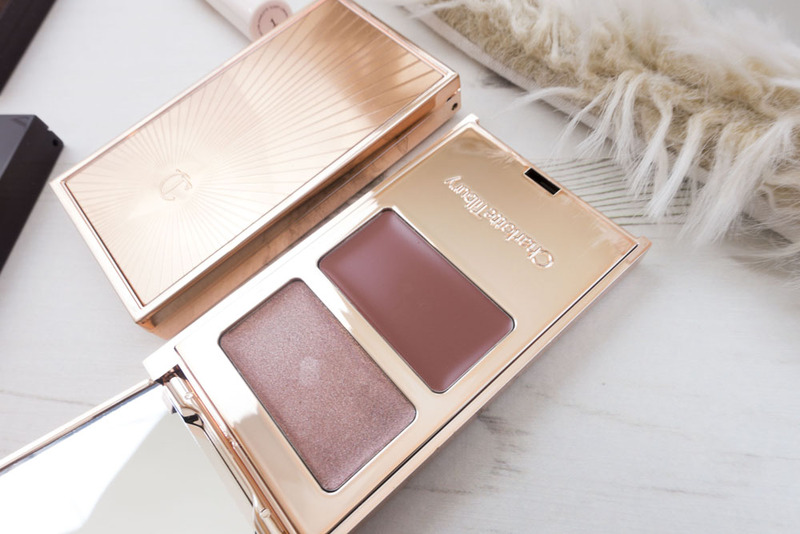 Last year I purchased the Charlotte Tilbury Golden Goddess Luxury Eyeshadow Palette (full review here). It’s fair to say that I was underwhelmed at first but grew to love the palette so much that it’s now an integral part of my makeup routine. I recently hit pan on the base shade and it felt like life might actually have ended. (Melodramatic? Moi?). *SOB* It still looks pretty though! 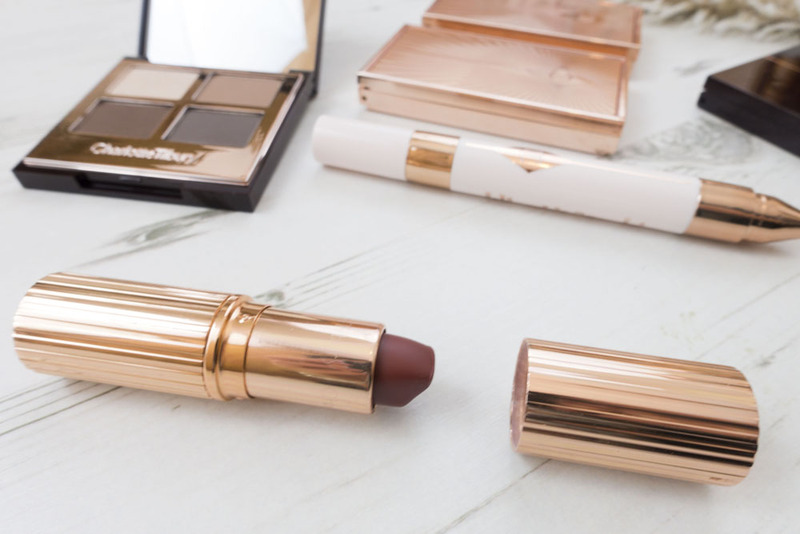 Since that initial purchase I’ve bought a few more pieces from Charlotte Tilbury’s collection. Some are now firm favourites but a couple have fallen disappointingly wide of the mark too. 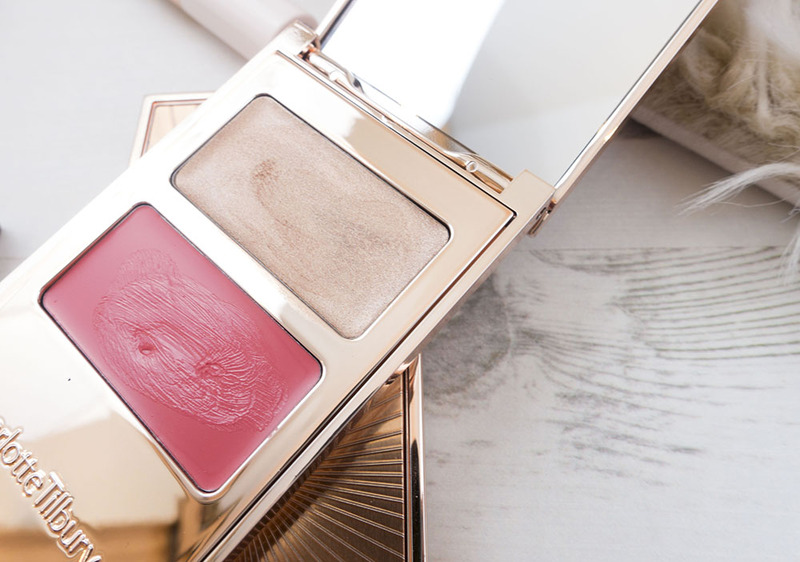 Let’s take a look beneath the pretty packaging and see which ones are really worth the price tag. 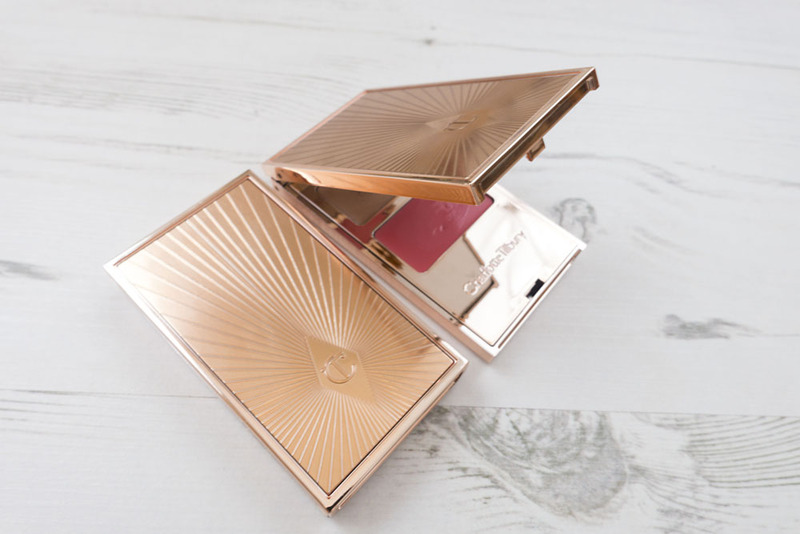 I don’t usually fall for the makeup counter spiel but when the guy at Charlotte Tilbury exclaimed: “Dahling it’s the perfect shade – everyone needs Bond Girl in their life!” he was absolutely right. 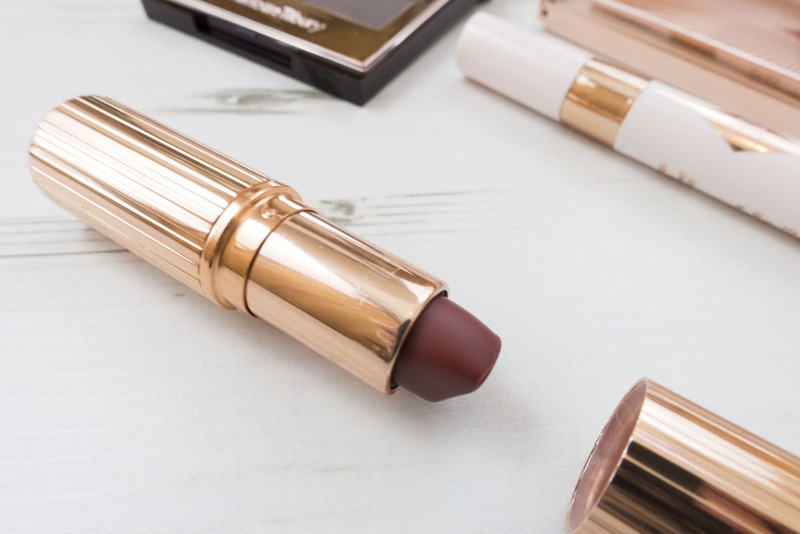 It’s a sultry berry tone with a velvet rather than drying matte texture, which lasts for hours and has earned a permanent place in my handbag. You can see me wearing it here. It also smells delicious! Loved By Laura? Yes! Recommended. 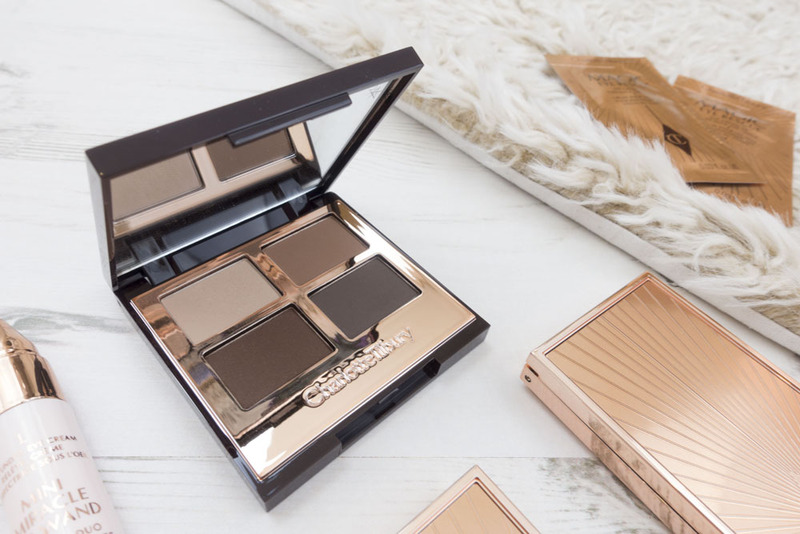 Charlotte Tilbury ran a one day only ‘buy one get one free’ offer on their Filmstars on the Go palettes and they were in my basket faster than you can say… err.. fast. …unfortunately it turns out that I hadn’t read the description properly, so when I popped the lid open I found that what I’d thought was the perfect replacement for my eyeshadow was actually an eye cream. Bugger. That will teach me to impulse buy stuff without doing my research first. I’ve got quite hooded eyes, so cream eyeshadows just don’t tend to work that well for me. This one glided on well but settled in the crease of my eyelid after a while. 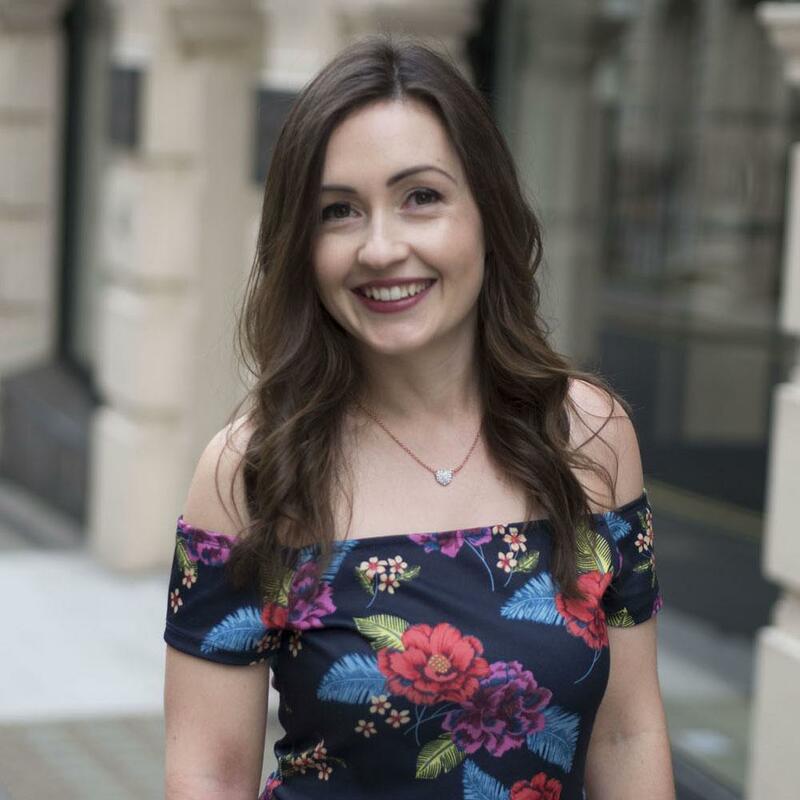 The colours really are very flattering and if you watch the video tutorial then it looks like you can achieve an amazing effect with these, but I can’t help but feel that they are better suited to a more youthful skin than mine. Loved By Laura? For £42 I hate to say it but these palettes are a miss for me. There just isn’t enough wow factor to how they perform to justify that price tag. 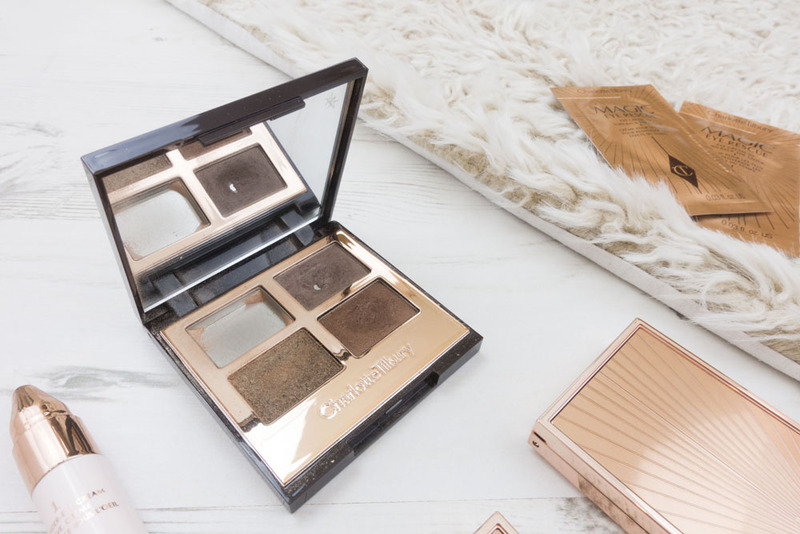 I naturally suffer from dark under eye shadows – they are one of life’s nuisances. 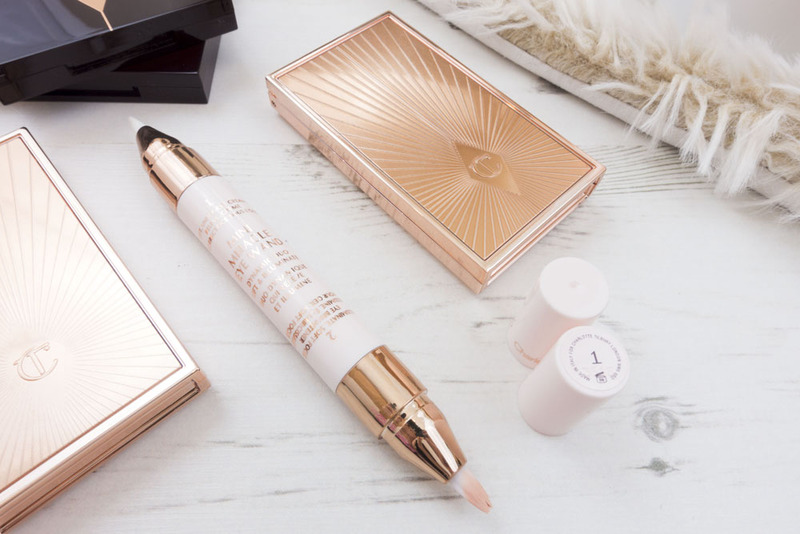 The claims by Charlotte Tilbury that the Miracle Eye Wand “creates the appearance of 8 hours sleep in two clicks” persuaded me to give this a try. 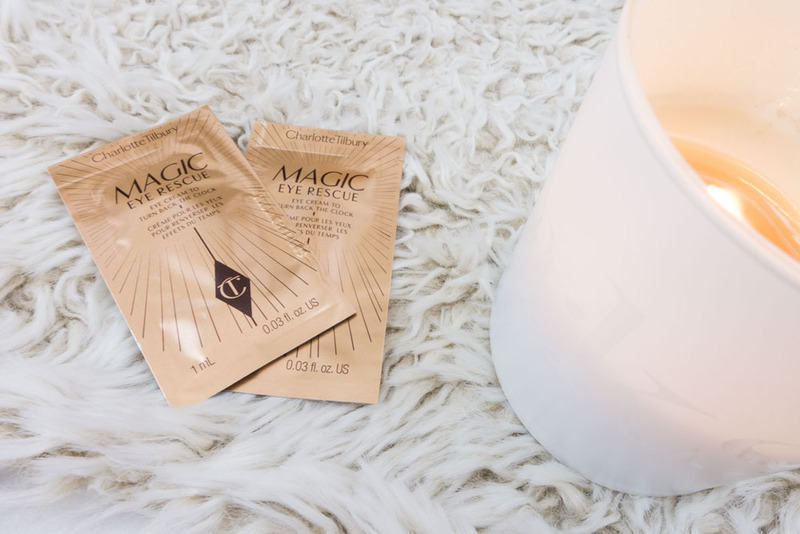 One end of the wand contains a hydrating Eye Cream enriched with under-eye agents that make the skin feel firmer and tauter, whilst the other end is a reflecting cream packed with “a million lights”. 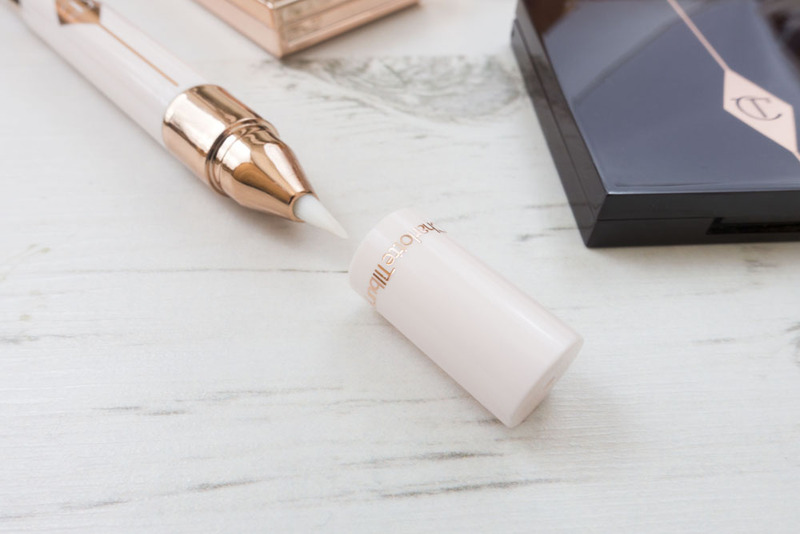 The micro-particles promise to brighten shadows, conceal discolouration and diffuse the appearance of under-eye hollows. 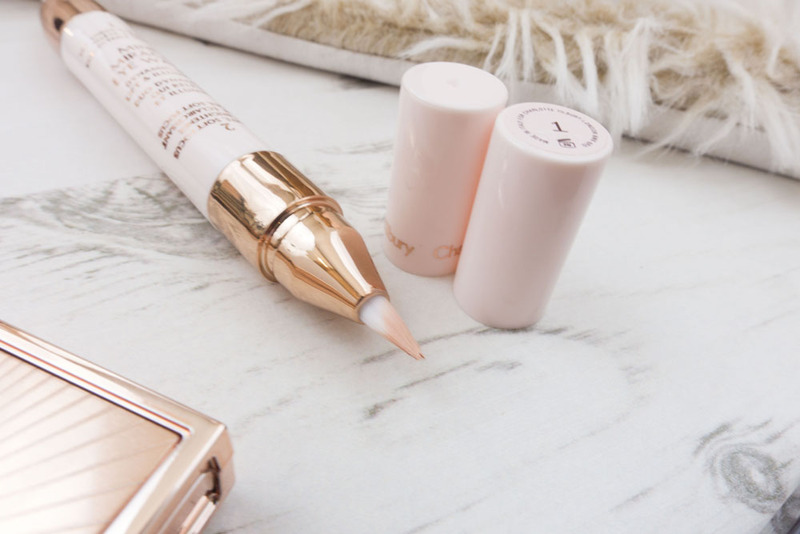 I’m not completely knocking this one because having used this I can see that if you’ve got light discolouration (or don’t have shadows and just want to look more radiant) then this is going to give you a wonderful effect. However for someone like me with purple toned shadows this doesn’t have enough colour correction to hide them, and only seemed to highlight my shadows more rather than conceal them. Loved By Laura? No – for dark shadows I prefer Laura Mercier High Coverage Concealer. This was a surprise birthday gift from N and he picked out the palette himself. He did good! I’m currently mixing and matching the colours from this with those in the Golden Goddess palette and it’s confirmed my love of the quads. The colours are more matt and tonal than those in the Goddess palette. It’s all so infinitely wearable. 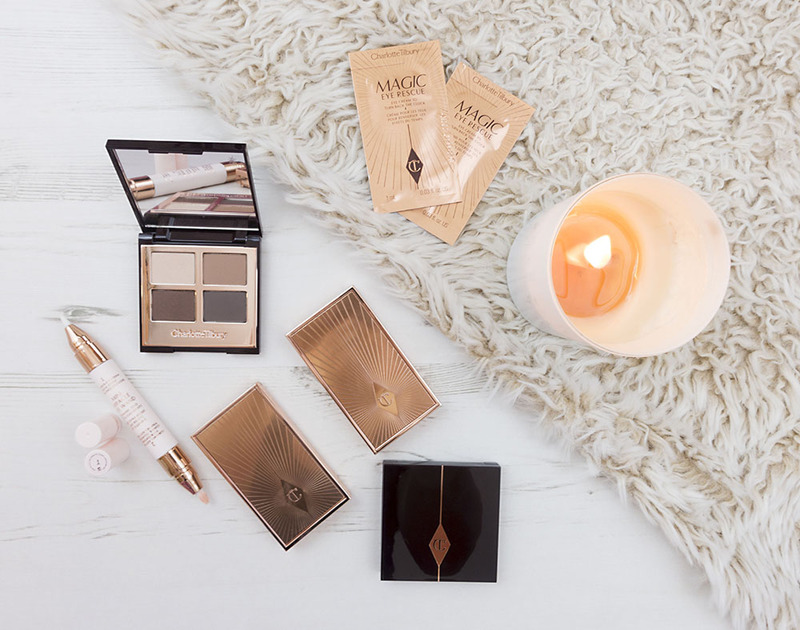 Just to note that if you buy online you can pick out some complimentary samples too. I chose their night cream and magic eye rescue cream. It’s a good way to try them out as I found the amount in each sachet is quite generous! Please note that all opinions in this review are personal and my own. 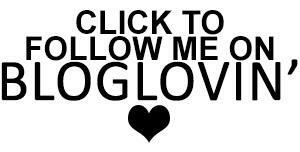 What suits my skin and complexion may be different to your own needs, but I hope that this gives you a helping hand! Please support my blog by voting for me in the Lifestyle + Food and Drink categories of the UK Blog Awards 2016.